The majority of the cast took part in the last film. Johnny Depp (Hatter), Mia Wasikowska (Alice), Helena Bonham Carter (the Red Queen), Anne Hathaway (the White Queen), and Matt Lucas (the Tweedles) are all reprising their former roles. However, a new main character has been added to the film. Sacha Baron Cohen plays Time, and from the trailers, it appears that he may be a love interest for the Red Queen. Alan Rickman, the voice of the caterpillar, passed away before the film could hit theaters. However, we will still hear his beloved voice perform for us one final time in this film. BABY HATTER AND TWEEDLES. Why wouldn't you want to see it? We've waited several years for a sequel to Alice in Wonderland, and Disney and Burton fans alike are very excited to see where Alice and her friends are now. I have high hopes for this sequel to be as good (or better!) as the original. 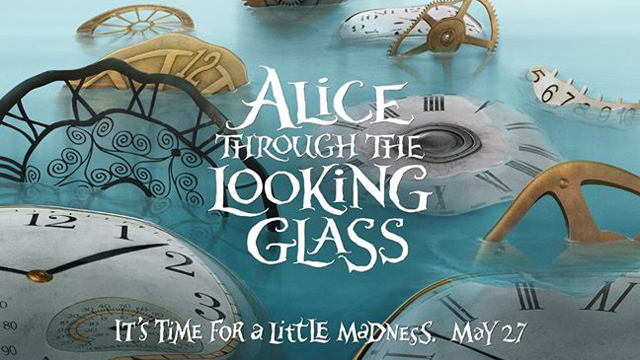 Will you be watching Alice Through the Looking Glass? :O SO EXCITING. I remember enjoying the first one, so I really look forward to seeing the second one! :D Also, it seems like Cohen is becoming another one of Burton's favorite actors... huh. I'm looking forward to seeing this one! Fun post!